I am unable to upload or download my uploaded files on Cloud space. This feature was working on Maxthon 4.5 but not working on 4.9 and later. 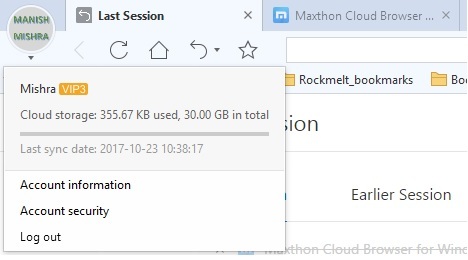 While logging in into Maxthon account it shows you have 30 GB of cloud space but I cannot use Cloud space. What is the use of that? I am using Maxthon 5 but unable to use cloud space which is not good. Please provide Cloud upload and download feature in Latest version of Maxthon. Looking forward for good news. Now this cloud space using only for the settings syncronization and Maxnote data.